Mohamed Dahab is Professor and Past Chair in the Department of Civil Engineering at the University of Nebraska. He is a graduate of the University of Iowa with a Bachelor of Science in Civil Engineering and Iowa State University with MS and Ph.D. degrees in Environmental Engineering. His research and practice interests are in sustainable systems for environmental and water quality management including biological treatment, nutrient removal, biosolids management, bio-energy recovery, and in the use of natural systems for wastewater treatment. Dr. Dahab is author and/or co-author of more than 250 articles in peer-reviewed venues and in the proceedings of national and international conferences and symposia, 36 engineering research reports, and supervisor of more than 30 dissertations/theses at the University of Nebraska. A Past Fulbright Research Scholar, he is engaged internationally with environmental engineering programs in Austria, Brazil, Egypt, Hungary, Korea, Libya, Malaysia, México, Saudi Arabia, and Spain. Dr. Dahab is a Fellow in both, the American Society of Civil Engineers (ASCE) and the Water Environment Federation (WEF), and a licensed professional engineer in Iowa and Nebraska. In addition to being Past President of the Water Environment Federation, Dr. Dahab is Past Chair and member of the Selection Panel for the U.S. Stockholm Junior Water Prize, and past member the Scientific Program Committee of the Stockholm International Water Institute. 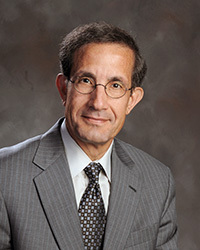 He served as Chair of the USA National Committee (USANC) of the International Water Association (IWA); Trustee of the American Academy of Environmental Engineers, Trustee of the Water Environment Federation, and a member of the Board of Directors of the Water Environment Research Foundation; the Board of Directors of the Clean Water America Alliance; and the U.S. Army Corps of Engineers Environmental Advisory Board. Dr. Dahab was appointed by Nebraska Governor Dave Heinemann to the Nebraska Environmental Quality Council (2013-17) and reappointed by Governor Pete Ricketts (2018-21). Dr. Dahab is a life member of the Water Environment Federation, the American Society of Civil Engineers; and the American Water Works Association. Fellow in the Water Environment Federation (2015), and the American Society of Civil Engineers (2018). Appointed by Nebraska Governor Dave Heineman to the Nebraska Environmental Quality Council, 2013, and reappointed by Governor Pete Ricketts (2017). Past-President of the Water Environment Federation. Elected and served as President (2006-2007); President Elect (2005-2006) and Vice President (20004-2005). Elected Chair, USA National Committee of the International Water Association; June, 2008- 2012. People to People Citizen Ambassador Program Leader – Invited to lead a delegation of 58 Global Water Environment ambassadors to the Peoples Republic of China, (Nov. 2008). Fulbright Research Professor, J. William Fulbright Foreign Scholarship Board and the Austrian American Education Commission, at University of Natural Resources and Applied Life Sciences, Vienna, Austria.